Dr. Johnson posing for a picture inside of Student Union Building I on the Fairfax Campus of George Mason University. Outside the window, the Fenwick Library Tower is the structure on the left and Robinson Hall A is the structure to the right. 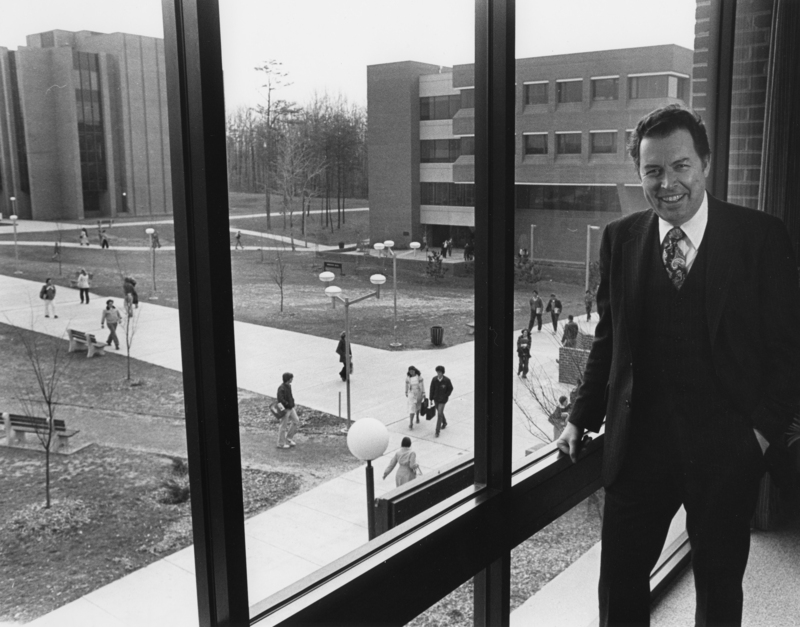 This picture was taken during Dr. Johnson's first academic year as university president. 8" x 10'' photograph print; black-and-white. Citation: George Mason University, “George W. Johnson, March 26, 1979 ,” A History of George Mason University, accessed April 23, 2019, https://ahistoryofmason.gmu.edu/items/show/215.